The Augsburg College Martin Luther King Jr. Convocation will feature actor, vocalist, and educator T. Mychael Rambo. The convocation, which also includes performances of poetry, song, dance, and imagery, is titled, "Now is the Time: Giving Voice to the Dream." Set against a backdrop of his most memorable speeches, quotations, and historical events from the Civil Rights era, this celebration pays tribute to the life and legacy of Martin Luther King, Jr. through performances from renowned Twin Cities artists and talented members of the Augsburg College community. As part of this event, students from the Southside Family School will also share an excerpt from their world premiere production, "Keeping the Dream Alive." Hosted and curated by T. Mychael Rambo, this stirring performance will give voice to "the dream" and refresh our resolve to boldly proclaim, that indeed "Now is the time!" 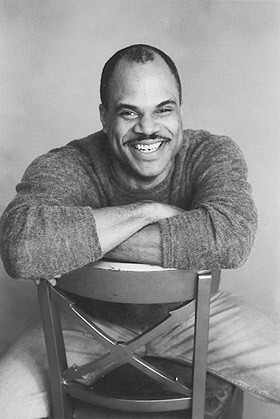 An affiliate professor and recruitment coordinator for the College of Liberal Arts, Theatre Arts and Dance at the University of Minnesota, T. Mychael Rambo is best know as a member of Penumbra Theatre Company. He has performed in several Guthrie main stage productions and other Twin Cities theatre venues. The convocation will be held Monday, January 16 at 1 p.m. in the Hoversten Chapel, Foss Center.